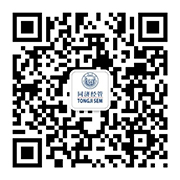 Taking the advantages of Tongji University in the fields of sustainable development and urban management, the major of administration management aims to cultivate high-quality, complex public affairs management and public policy research talents. Students will master the basic theoretical knowledge of management, economics, administration, political science and other related disciplines. They can use qualitative and quantitative methods to analyze practical problems in urban management in China, and have strong sustainable development concepts and broad international vision. This major is characterized by “focusing on policy research, facing urban management, and targeting international benchmarks”. Its teaching is organized around three modules: basic theoretical module (management, economics and political theory), application module (public organization and governance, social construction and management, urban development and management as well as sustainable development and management) and methodological tool module (quantitative and qualitative research methods). This major was selected into the B+ category in the fourth round of evaluation by the National Ministry of Education in 2017, ranking top 20% in the country.